When will my card be charged ? A. Your credit card will be charged when your order is placed. Payments What is the best way to pay for my order ? If you are not comfortable paying online with a credit card you can pay by calling +91-9899781819 during normal business hours 9:00 AM – 5:00 PM Monday to Saturday (excluding holidays). If you are in Delhi you can visit us at B-127, Mount Kailash, New Delhi-110065 and pay personally. 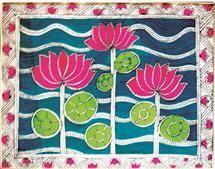 What is the best way to reach Madhubani Art Centre | Online ? A. The best way is by emailing us at shop mithdil@hotmail.com and mithdil@gmail.com. You can also contact us on our Facebook page – www.facebook.com/madhubaniartcentre and call +91-9899781819 during normal business hours, 9:00 AM – 5:00 PM, Monday to Saturday (excluding holidays). 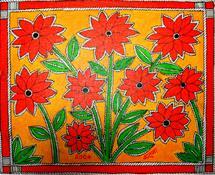 What is Madhubani Art Centre | Online? 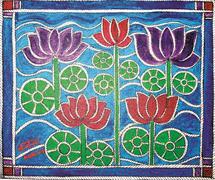 A. Madhubani Art Centre is a unique platform of all women Mithila Folk Painters, where the artists sell their paintings directly online, we work to empower artist to earn year-round income and create a more sustainable future – read more about the programme in about us section and our mission. Are the paintings well packed? A. Yes, the paintings are shipped in hard plastic tubes. A. Yes, the delivery is worldwide. We deliver anywhere you want. A. No, the paintings aren't framed, this is because of the difficulty of transportation. Do I have to pay for transport? A. Yes, we charge for shipping. The shipping cost based on the delivery location and weight of all products. How can I get more information about a painting or the artist? A. Please email or call us (+91-11-26411090) (+91-11-24368753 ) with your requests. Our customer service representatives are available to help you.